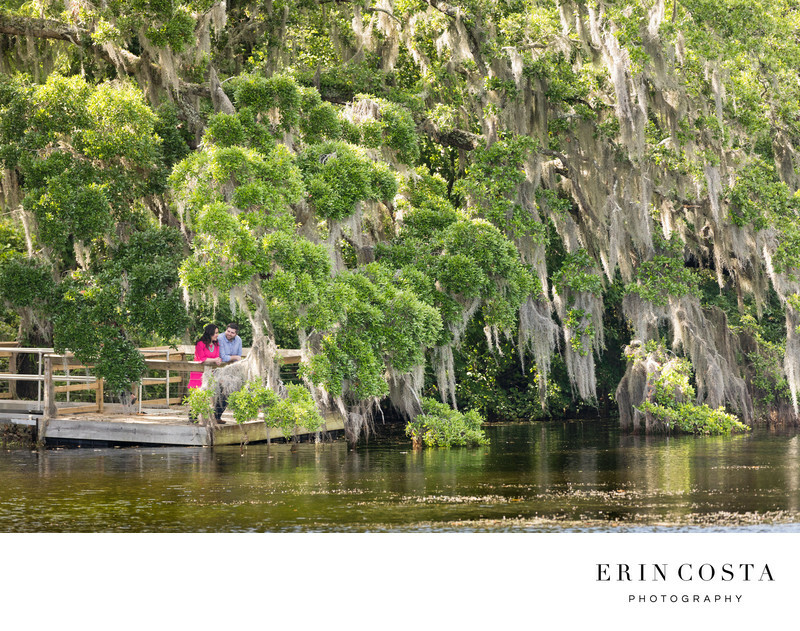 There are not enough words to describe how much we love photographing couples at Airlie Gardens. If you have never visited their beautiful gardens, you are missing out! Take a few hours one afternoon, pack a picnic and go enjoy their gardens, you won't be disappointed! Airlie Gardens was created in 1886 as a private garden, for the Pembroke Jones family by Mrs. Jones, as a lush, flowing, naturalistic Southern garden, with thousands of azaleas, camellias, magnolias, and wisteria. German landscape architect Rudolf Topel, transformed the garden to a picturesque garden. To this day, the gardens are beautifully maintained, and everywhere you walk you are greeted by budding flowers and flowing Spanish moss. If you are looking for a unique and stunning location for having your engagement portraits taken, look no further than Airlie Gardens. There is a fee to have photos taken there, but it is well worth the money!